The latest release by Ilitch (a limited edition of 250) collects material recorded from the late 70s right up through the present, although many of the older pieces were tweaked, modified and remixed along the way. Ilitch is Thierry Müller, French electronic/experimental composer who released a number of albums in the late 70s and early 80s, and has recently become active again (his latest release of all new recordings, Hors Temps, was reviewed in #32). The first six tracks on Rainy House are the six parts of the haunting minimalist suite “Chambre,” a stark, introspective piece performed on an old, slightly detuned piano, accented with sonic filters, fuzz and studio treatments. A progression of several chords are played in repetition with slight variation and slow evolution, adding various effects and timing delays as it goes. Comparable at times to some of Battiato’s late 70s minimalist work, this actually develops a lot more variation throughout its duration and is thus far more interesting. The remaining two cuts (only on the CD) seem to be of more recent vintage, the first a fifteen minute workout of swirling experimental sounds and textures, where Müller is joined by Julien Blaine on voice, kazoo, and jews’ harp. 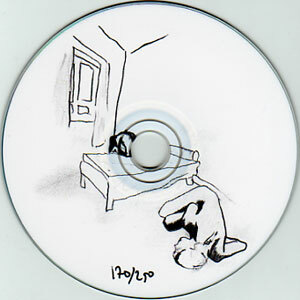 The final track features several tracks of sounds coming from a skipping CD mixed together at various intervals. While Hors Temps was a more song-based release, Rainy House embodies the more experimental side of Ilitch’s work.